Welcome to the first edition of Bridge Builder! It is our desire to keep you informed of what God is doing in and through the ministry of Project Bridges through this e-newsletter. 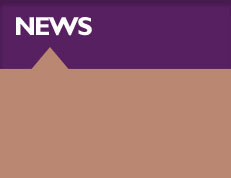 Project Bridges e-news will be disseminated on a bi-monthly basis. We will be highlighting some aspect of our ministry and the impact it is having within our communities and churches. We will also seek to showcase best practices that have been proven to move God's agenda forward, as well as informing you of upcoming events. I am excited and expectant to see what God has in store for our ministry in 2013 and beyond. Our focus this year will be on empowering, preparing and positioning our leaders and churches to experience revival/spiritual awakening, which will ultimately lead to a broader spiritual and social transformation of our communities and cities. The key to this spiritual awakening is unity within the body of Christ. However, we must first be willing to set aside anything that would keep us from coming together. Unifying with other congregations and ministries demonstrates God's love and our obedience to His word to become “one.” I believe it also positions us for God’s commanded blessing found in Psalm 133:1-3. We must be willing to work towards building bridges from church to church and ministry to ministry so that we can build bridges to our lost communities and cities. I believe when we are “one” that is when our communities and cities can be WON. This is just food for thought for now, but you will see more discussion around this topic in our e-newsletter, seminars and workshops. Please continue to stand with us in prayer and support as we seek God's presence and guidance for the role He would have us play in assisting ministries to accomplish the mission God has called you to. As always, we are so thankful for those of you who have supported us with your prayers and financial gifts. It is our hope that the training, information, resources and technical assistance have been a blessing and an encouragement. We would also appreciate the opportunity from time to time to survey you, in order to get a better understanding of what your needs are and how we might better serve you. On behalf of the executive board and myself, may God continue to bless and keep you. What happens when the man of God submits his ways to the Lord? Transformation occurs! Pastor Marcus E. Turner Sr. has been leading Beulah Baptist Church for the past 13 years. While he has seen the church change over that time, he said the most dramatic transformations occurred after he connected with Project Bridges three years ago. Located in the northeast section of Washington, D.C., Beulah Baptist Church has been ministering and serving in the community for more than 103 years. 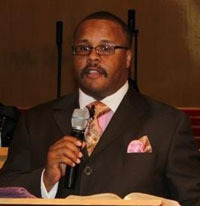 Pastor Turner was chosen to be the successor of Pastor Moses L. Jackson, who had served the congregation for many years. In the beginning of his pastorate at Beulah, Pastor Turner saw the need to refocus the church around worship services, discipleship classes and training. However, this was just the tip of the iceberg for what God wanted for Pastor Turner and the Beulah congregation. “We thought we were doing something with these changes. We were riding high on a plateau and enjoying minor success,” said Pastor Turner. In 2009, he felt God calling him to push for a spiritual movement. 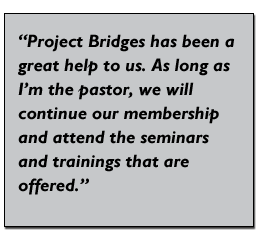 “I had heard about Project Bridges and decided to send some of my leaders to attend one of their seminars.” Pastor Turner’s leaders came back excited because they had received a wealth of information. They learned about some changes they needed to make and insisted that they be able to attend the other seminars offered throughout that year. They were so jubilant that Pastor Turner decided to go with them and check out the seminars for himself. 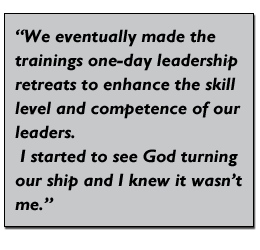 “We eventually made the trainings one-day leadership retreats to enhance the skill level and competence of our leaders,” said Pastor Turner. “I started to see God turning our ship and I knew it wasn’t me.” However, he also realized in 2010 that they were still going through challenges, and more help was needed. That’s when Pastor Turner began having weekly conversations with the executive director of Project Bridges Rev. Harold Brinkley. First, they began to pray. “It wasn’t the traditional type of prayer that I was used to which focused on what we were trying to do. [This was] seeking God’s presence, confessing sins and opening myself to the Lord,” he said. Rev. Brinkley was invited to address the Beulah leadership , where he gave a fresh word and spoke into the life of the pastor and the church. Rev. Brinkley also challenged the church to be more visible in their community. “As a pastor, this relationship helped because when you are going through a struggle, it’s always good to have a listening ear and to receive experienced, biblical counsel on a particular subject,” said Pastor Turner. In addition, he sees major changes in the leaders of Beulah. According to Pastor Turner, the leaders are more spiritually discerning, they have greater visibility in the community and there is an increase of people becoming more involved in the church and its overall work. 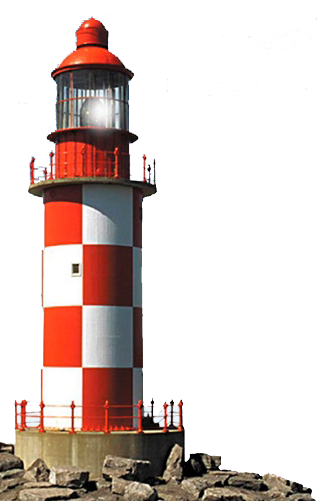 “Project Bridges has been a great help to us. As long as I’m the pastor, we will continue our membership and attend the seminars and trainings that are offered,” he added. Between 2011-2012 approximately 23 leaders from Beulah Baptist Church received the Certificate of Ministry Leadership. Anyone can qualify for the certificate, if you attend all of the Regent Bridges Seminars in a given calendar year. The first seminar for 2013 will be held on April 27. See more information here. Calling all golf enthusiasts! Do you have your foursome ready? It's time to swing into action with Project Bridges on Thursday, May 9, 2013, for our 5th annual benefit golf tournament. The registration deadline is April 26, which is just around the corner! Find out about prizes, sponsorship opportunities and other details here. In many of our communities, counseling is a taboo word. However, the Bible tells us in Proverbs 11:14, "Where there is no counsel, the people fall; But in the multitude of counselors there is safety." Our partner, Safe Harbor Christian Counseling, provides a wide array of counseling services at discounted rates for you, members of your congregation and the local community you serve. Learn more ways that Safe Harbor can benefit our partner churches here. We are delighted to announce that we have added two new members to the Project Bridges Board of Directors. They are Deacon Stanley Featherstone from First Baptist Church of Glenarden and Ms. Mary Ellen Russell from the Maryland Catholic Conference. Our full board can be found here.